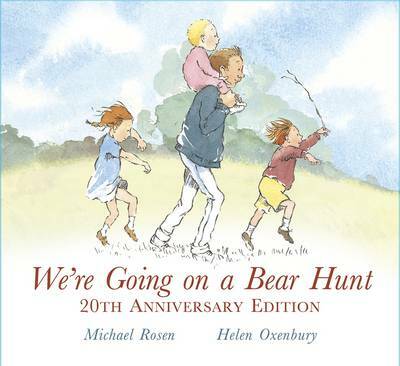 Follow and join in the family's excitement as they wade through the grass, splash through the river and squelch through the mud in search of a bear. What a surprise awaits them in the cave on the other side of the dark forest. Brilliant read, i can read this over and over it is so much fun and exciting . This is my favourite book ever. Because the little girl is like me and the little boy is so cute. I really like this story and the pictures. i love the repitition.i would recommend this to children who love bears and adventures and family time. I loves this book. I have read it a few times. My favourite bit was when they ran back home. Really enjoyed this one as it also encourage children to actually roll play it out and really get within the actual story.